Classic dress with contrast turnback collar, tailored cap sleeve,turnback pockets and a sash that ties at the back. 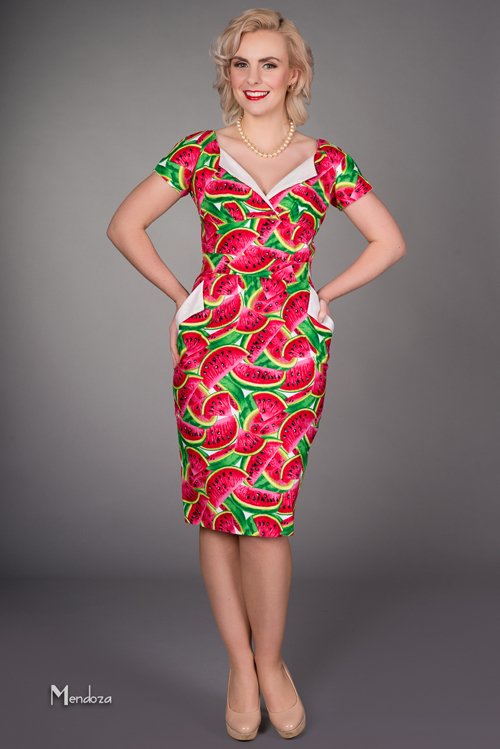 Here with the pencil skirt in a lovely print featuring watermelons. Grab a slice of this!